Born: Haj in Ledce, Czechoslovakia, 31 January 1962. World Longtrack: Finalist 1995, 1996, G.P Competitor 1997, 1998, 1999, 2000, 2001, 2002, 2003, 2004, 2006, 2007, 2008, 2009, 2010, Semi-finalist 1994, 2005, Challenge 2006, 2007, 2008, Qualifying Round 1984, 2010; Best Other Results: Grand-Prix Second Marmande 2004, Semi-final First 1997, 2001, Second 2000, 2004, Third 2003, Qualifying Round First 1997, Second 2007, Third 1998; Team Championship Competitor 2007, 2008, 2009, 2010. European Grasstrack Championship: First 1998, 2000, Second 1999, 2001, 2002, Third 1996, Finalist 1985, 1989, 1991, 1992, 1994, 1995, 2003, 2004, 2005, 2006, 2007, 2008, Semi-final 1986, 1987, 2009, 2010, Preliminary Round 1988, 1993; Best Other Results: Semi-final: First 2000, 2003, 2004, Second 2008, Third 1992, 1995, Preliminary Round: Second 1995. 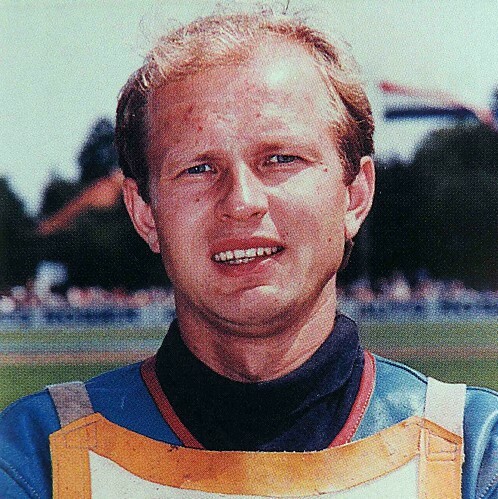 Czechoslovakia Grasstrack Championship Winner 1989. Czechoslovakia Longtrack Championship: First 1992. Czech Longtrack Championship: First 2003, 2005, 2006, 2007, 2008. Australian Longtrack G.P. : First 2000/01, Golden Pheasant: First 1996, 2002, 2003, Schwarme First 1998.